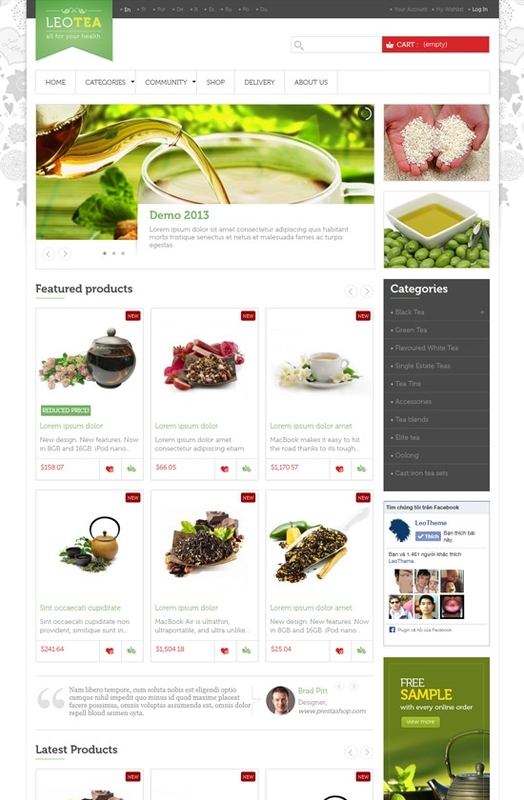 This month, May 2013, we are pround to announce the release of Leo Tea - a professtional responsive prestashop theme for Preatshop 1.5. Its design is perfect for Drink store or Food store as well. Leo Tea has big logo, you can change the logo easily with your own one. The top bar block includes Currency, Language and Login modules. The main menu supports Megamenu, your menu items can be configured to be displayed in columns, it also allows you to display a module content in Megamenu. The highlight in the homepage is the slideshow, it can be configured to be auto displayed. Each slideshow has image and description, your featured products or services should be displayed here. 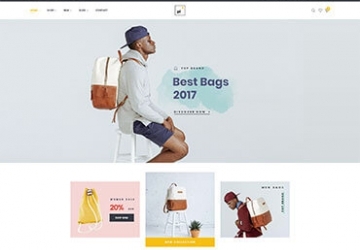 The next important part is the product showcase, in demo site, we display products into "Most Popular" and "Latest" that helps user to find products easier. In each block, we have 3 columns and number of rows can be configured. 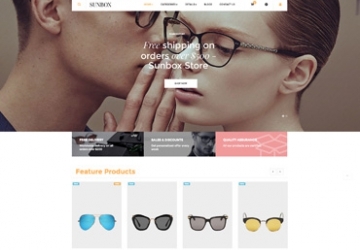 On the right side, it is the sidebar that you can put any module like: menu, advertisment, social media, ... 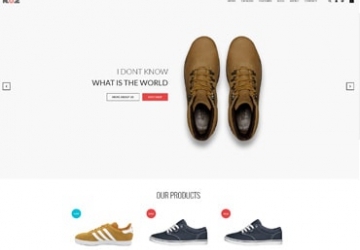 Finally, the footer block that includes useful links inside the theme, this will make the navigation system in the theme much better and it is really good for SEO. Leo Tea comes with lots of built-in functionality which includes powerful admin panel. The powerful admin panel will help you manage your site better, customize easier. Multiples module suffix's build-in template for module styling. What Packages To Download ?